It is the mission of New England Glass Co. to provide quality products and services at competitive prices and to provide the best performance glazing. To be the company that best understands and satisfies the product and service needs of our contracting partners. New England Glass Co. is committed to 100% customer satisfaction on every project. Through teamwork we have confidence in our abilities as tradesmen and business professionals to meet every demand made of us to get the job done. 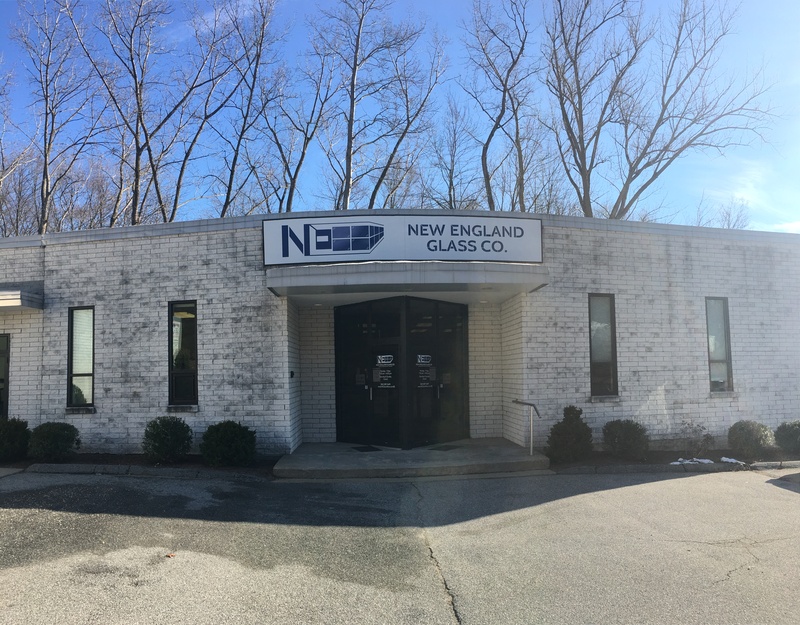 Founded in 1934 by Alfred and Alex Cohn, New England Glass Co. has grown from a two man little glass shop on Main St. in Norwich to a full service commercial glazing contractor. New England Glass Co. was purchased in 1988 by Carl Reiser and Thomas Haling. Their vision for the future has been what has made New England Glass Co. a leader in the glazing industry. Through the years we have provided high-quality glass and aluminum products to contractors throughout Connecticut, Massachusetts and Rhode Island. It is these partnerships that have been instrumental in the growth and success of New England Glass Co.
New England Glass Co. became DAS & SBE Certified. The focus of the company shifted from a residential target group to commercial. We developed a larger work force in the field and in the office. The relationships began to develop between us and our general contractors more and more. While we still take on work from our loyal local customers, we focus much of our energy on the commercial work that appears to be flooding in the door. Celebrating 30 years under current ownership. A big thank you to loyal employees and customers who have helped reach this milestone. Our exceptional skills and knowledge of the glass industry provides us the ability to execute projects in a cost-effective and timely manner. We take pride in and are dedicated to providing our customers with high quality products, superior installation and the best customer service. New England Glass Co. is a company that prides itself on its customer service, quality of supplied products and lastly, its continued growth. Our employees are involved in continued education and our management and staff are interested and excited to learn about the new products and installation techniques in the industry as they evolve. Take a look at our mission, vision and values to learn more about what our company stands for. The face of our building is deceptive. Come on by and we can take you on a tour of the facility where the in shop work, fabrication work, material storage and truck loading all take place. Our shop expands the length of a football field and is fully loaded with glass racks, polishing machines, metal bending & breaking machinery and stores our sprinters and vans for well keeping. We moved into our current building roughly 5 years ago and continue to develop glass carts, storage framing, and fabrication tables and accessories to make all processes operate more smoothly. Because of the fact that New England Glass Co. is an (SBE) Small Business Enterprise, our employees have a voice. The management welcomes new ideas and works to put those deemed to make any and all aspects of the company more profitable and a better place to work. NEGM, for short, recently adapted the idea of strengthening the intercommunication between the technicians and in office personnel. The company believes this is a key strategy in the fluidity of our projects. Hand Off meetings are held between our Estimators and Project Managers as a way to get all members on the same page. This is where we have begun to bring in our lead technicians so they are involved in the communication from the start. We value the experience and knowledge our technicians have and want to further assist them and prepare them for the field. Through the use of laptops, tablets and Office 365 we have a steady flow of information from the job site back to the office and vice versa. Continued education is an area NEGM managers are focusing on as well. In an ever changing industry it is important to stay on top of the newest products and installation procedures. We have begun to schedule in house training from our vendors as well as webinars and courses to further develop our knowledge base on many topics across the industry. Currently, one of our office employees is becoming certified in Occupational Safety and Health and once completed, she will serve as our safety and health administrator for the company. The knowledge gained by these courses will be shared across the company to continue to enhance safety in the shop and in the field. New England Glass & Mirror Co. Heavy Glass Shower Enclosure installed in Ledyard, Connecticut! Our technicians are real experts at these shower installs as we have been doing them for as long as we can remember. New Auto Showroom door set installed at Troiano Chrysler Jeep Dodge Ram in Colchester, Connecticut. This customer had 2 oversize doors in his opening before, that our technicians removed and installed a new auto showroom door set. In additional to the aesthetics, this also allows for a more efficient building with a smaller single door opening used on a daily basis, while still allowing the ability of the full opening for more selective use. © Copyright - New England Glass & Mirror Co.